Wailua, Kapaa, Lihue Resorts, Hotels and Condos on Kauai’s Coconut Coast. Select from several Kapaa hotels and condos. The Coconut Coast is famous for the groves of coconut palms that grow along the coast. Wailua River State Park, Fern Grotto, Opaekaa Falls and the Sleeping Giant Sacred places like Polihau Heiau, the large lava-rock temple of Kauai’s last king. Visit Kapaa Town shops with Hawaiian crafts, aloha-print shirts, jewelry and art. 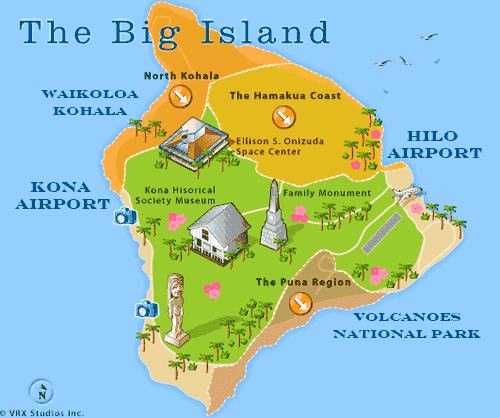 The beaches along the Coconut Coast including Anahola Beach Park, Donkey Beach and Kealia Beach to the north. Lydgate Beach Park in Wailua has two ocean pools, safe ocean conditions for families and snorkelers. Visit these resorts and condos on the Coconut Coast on Kauai. Located on Kalapaki Beach, one of Kauai’s best swimming beaches, this luxury Kauai resort is surrounded by lush gardens. 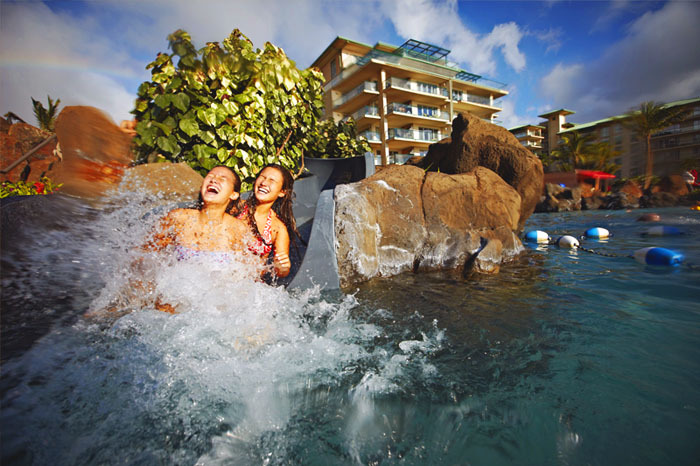 Relax by the 26,000 square foot pool, enjoy the shops, restaurants, spa services and complimentary Hawaiian activities. Onsite golf course is the Kauai Lagoons which has two courses. You will experience comfortable and elegant luxury one and two bedroom accommodations at the Outrigger Waipouli Beach Resort & Spa. Golf at Kauai Lagoons, Puakea and Wailua Golf Courses. All-new, spacious one- and two-bedroom condominiums, furnished with sophisticated modern comforts and central air conditioning. AC is hard to find in Kauai. 1-Bedroom, 2 bath or 2-Bedroom, 3 bath. The Aqua Hotels took over this resort and upgraded it to the Aqua standards which are elegant and fun. The coast is rugged in this area and it can be windy but that’s Kauai. The 4 star rating is well deserved for the buildings and grounds. Aqua staff are always tops. Golf at the Wailua course or Kauai Lagoons golf course. Oceanfront hotel near Wailua Bay and adjacent to Lydgate State park. Lydgate is one of the best swimming and snorkeling beaches on the east side. This beautiful resort is situated oceanfront on historic Wailua Bay and features two swimming pools, spa, fitness room, and tennis. Plantation style resort/hotel is located oceanfront next to the shops at the Coconut Plantation Market Place. Golf at Kauai Lagoons, Puakea Golf Course, Wailua Golf Courses. Within walking distance of the Coconut Marketplace. This beachfront resort is ideally located on 10.5 acres of Waipouli Beach. All rooms include free high-speed internet access. Guests can enjoy nearby shopping, meeting facilities, restaurant, oceanside lounge, oceanfront pool and whirlpool spa and more. In Hawaiian, Kaha Lani means, “heavenly place.” Lush landscaping and miles of uncrowded white sand beach, guests enjoy this secluded beachfront condominium resort. One, two or three bedroom suites. Fully equipped kitchens and large private lanais, most with ocean views. A charming beachfront property nestled along the Coconut Coast surrounded by award-winning tropical landscaping. A pleasant walk to Coconut Plantation, the second largest shopping center on Kauai. A Hawaiian Paradise with a true feeling of home, Lae Nani offers spacious 1 and 2 bedroom units, each uniquely decorated and finely appointed. Fern Grotto, Kauai – The Fern Grotto is a beautiful lava-rock grotto covered with hanging ferns, popular for weddings. Wailua River, Kauai – Kauai has the only navigable rivers in Hawaii, and the Wailua River is one of the most popular. Nounou Mountain (Sleeping Giant), Kauai – Legendary mountain range that looks like a sleeping giant featuring a scenic hiking trail.